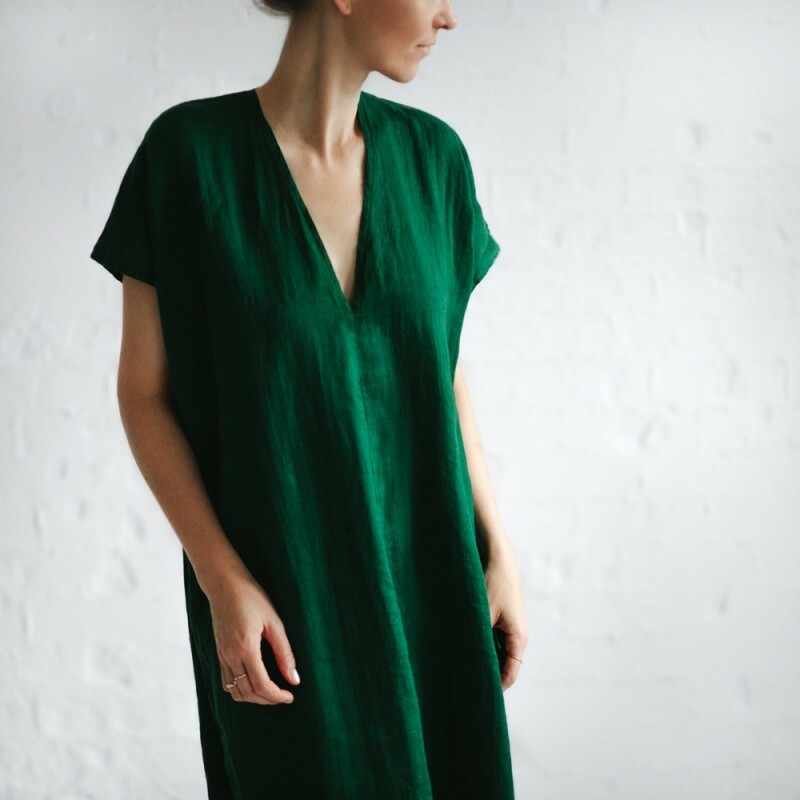 This simple V neck dress is made from a soft 100% Baltic linen, and comes in a rich green colour. It would look stunning paired with a brown/tan belt and your favourite summer sandals, or leave it loose and flowing for a more casual option. Subtle splits in the side hemline make it easy to move (and dance). This dress will fast become a summer favourite! 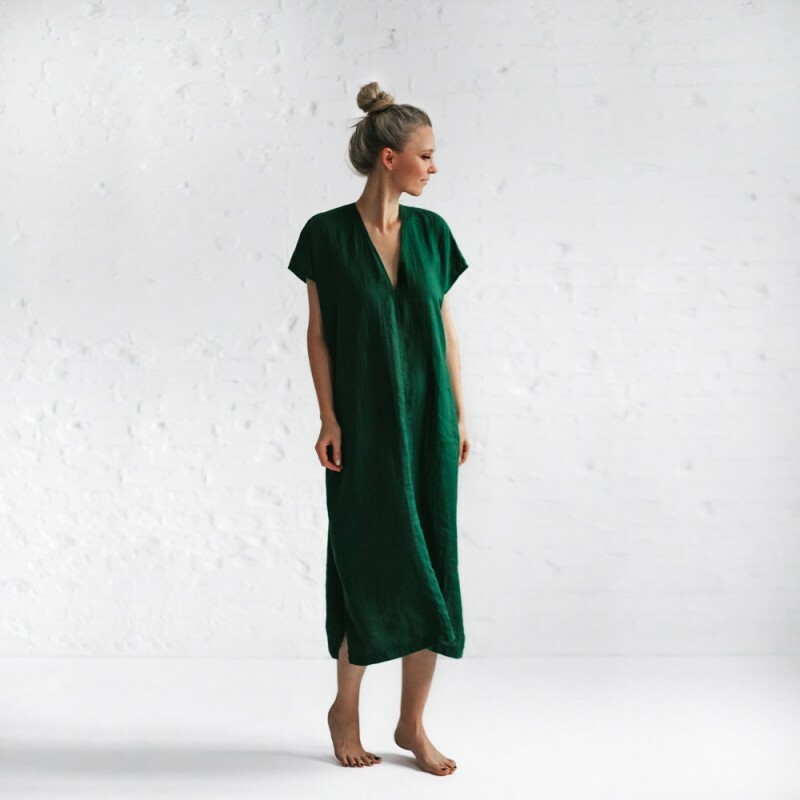 This is the perfect summer dress: loose, soft and oh-so comfy, yet still smart to wear just about anywhere! 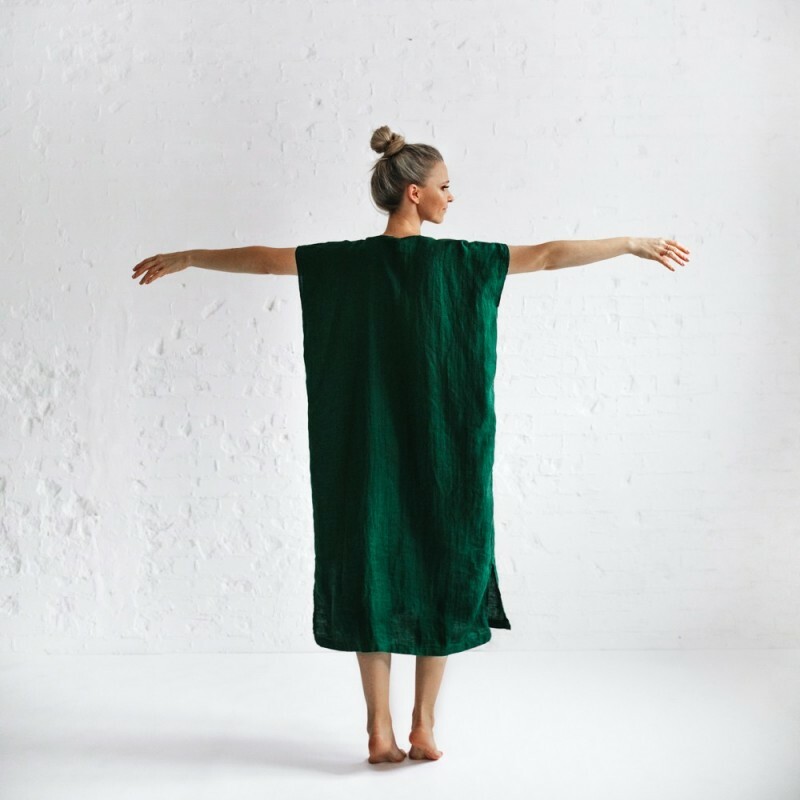 The green colour is stunning and the fabric extremely soft. This will be great for travel too. This is a beautiful dress. It has a deep rich colour and high quality fabric. Feels light and looks chic with a belt or flowing free. I’m so pleased with it!